As a Nutrition Therapist and Certified Intuitive Eating Coach with a background in both nutrition science and psychology, I guide people to find their own philosophy of eating which results in freedom and empowerment around food and weight issues. I consider myself an “anti-diet” dietitian, and my orientation is grounded in the Health-at-Every-Size movement, Mindfulness and Intuitive eating. 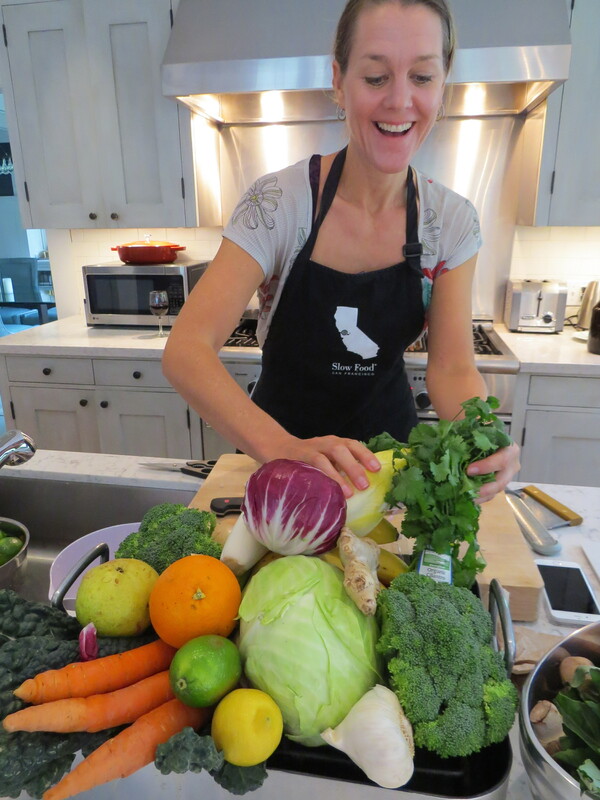 I am also certified as a Natural Chef, offering personal chef services for those with special dietary needs and health conditions that require therapeutic foods and diets to heal and promote wellness. I also cook for families and individuals who want simple, healthy home-cooked meals with no dietary restrictions. I went on my first diet at 18 after living abroad and gaining weight as an exchange student. I lived in Switzerland and used cheese and chocolate to sooth my homesickness and culture shock. I gained a lot of weight that year and as soon as I came back home, I was determined to lose the weight. I joined Weight Watchers and became a professional dieter. After many years of dieting, I began to notice that my weight loss was not sustainable, and in fact, I started to gain weight. The more I dieted, the more obsessed with food I became and, ironically, the more weight I seemed to gain. Deep down, I knew something was not right; I knew dieting was only going to further disconnect me from my body and lead to a sad and isolated life. My soul searching began in college when I picked up the book, Intuitive Eating; finally I could begin to get off this diet roller coaster hell and begin to reclaim my life. It took me a few years to let go of the addiction to dieting and internalized body shame. Recovery kind of snuck up on me, but I am happy to report that finding peace and freedom from food and weight worries is possible. It is such a joy and honor to be in a position to help inspire and guide others towards their own recovery. Intuitive eating is now the prevention and treatment for all forms of disordered eating. It is now widely recognized that “diet’s don’t work,” and in fact most cause weight gain, and disordered eating (over the long term). Intuitive eating and mindful eating help restore trust with ones body, decrease emotional eating and improve ones overall health. I teach people how to reconnect to the wisdom of their bodies, helping them to recognize their physical hungers, as well as how to work with emotional hungers so that they can finally get off the yo-yo diet roller coaster. This approach helps people to reclaim their birth right to enjoy food and eating without having to ever diet again. Imagine having a more relaxed and joyful relationship to food and your body. I treat all forms of disordered eating, clinical eating disorders as well as preventative and general nutrition issues. My offices are in San Francisco, Oakland and Napa, California. I also meet with folks virtually all over the world.